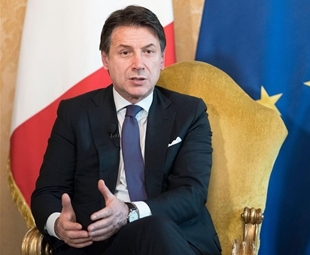 ​Chinese President Xi Jinping and Italian Prime Minister Giuseppe Conte held talks in Rome Saturday on jointly elevating the China-Italy relations into a new era and witnessed the signing of a memorandum of understanding (MoU) to advance the construction of the Belt and Road. 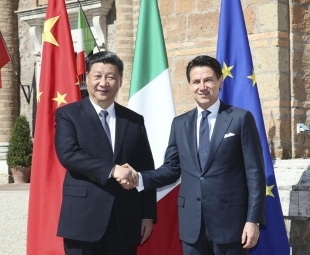 ​China and Italy signed in Rome Saturday a memorandum of understanding (MoU) to jointly advance the construction of the Belt and Road during Chinese President Xi Jinping's state visit to the country. 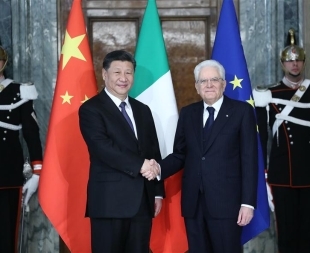 Chinese President Xi Jinping and his Italian counterpart, Sergio Mattarella, held talks in Rome Friday, and agreed to jointly push for greater development of the China-Italy comprehensive strategic partnership in the new era. Chinese Vice Premier Sun Chunlan met with Apple CEO Tim Cook in Beijing on Friday. Chinese Premier Li Keqiang will attend the opening ceremony of the Boao Forum for Asia annual conference and deliver a keynote speech next Thursday in the southern province of Hainan. 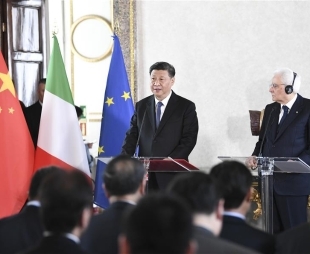 ​Representatives of leading Chinese and Italian media pledged on Wednesday in Rome to renew and expand collaboration to facilitate mutual understanding between the peoples and to promote bilateral ties.